conVerd board® is a fully recyclable alternative for structural signage in the wide format marketplace. 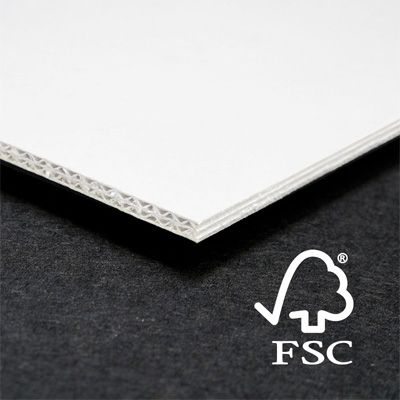 Combine the environmental benefits assosiated with being a 100% paper-based rigid board and you have the perfect alternative to a non-fiber based product. conVerd board® offers a bright white, dimensionally stable, and rigid surface for indoor and some short-term outdoor applications. conVerd board® incorporates a minimum of 10% post consumer waste to achieve maximum sustainability without sacrificing the print quality or surface characteristics required for critical POP applications.